Pedagogically I love student notebooks. It helps students to visualize how their daily work is interconnected with yesterday’s and tomorrow’s. Activities can be built upon each other over the course of multiple days and students get an early taste of note-taking strategies with learning remaining student centered. 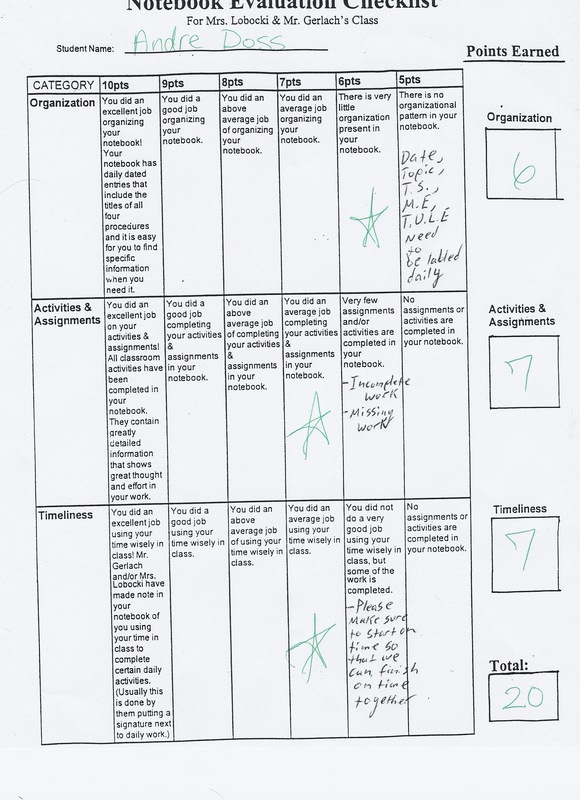 Students’ primary “homework” or “classwork” scores come from notebook evaluations. Approximately every two school weeks I visit with students to discuss their notebook progress. We discuss the organization, the activities & assignments they’ve completed, and timeliness of completion of said work. 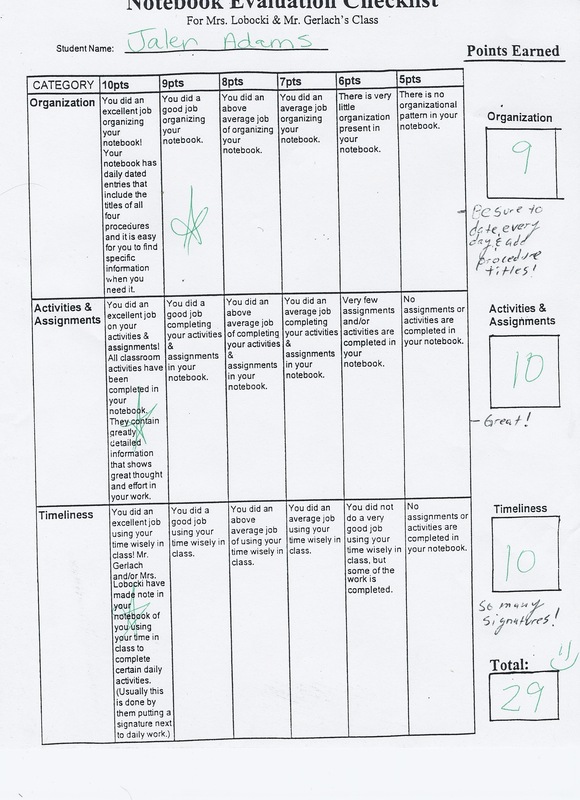 Students are given a rubric on notebook evaluation day at the beginning of the class period. While they work on their main event of the day, the teacher(s) visit with each student individually to evaluate their progress. 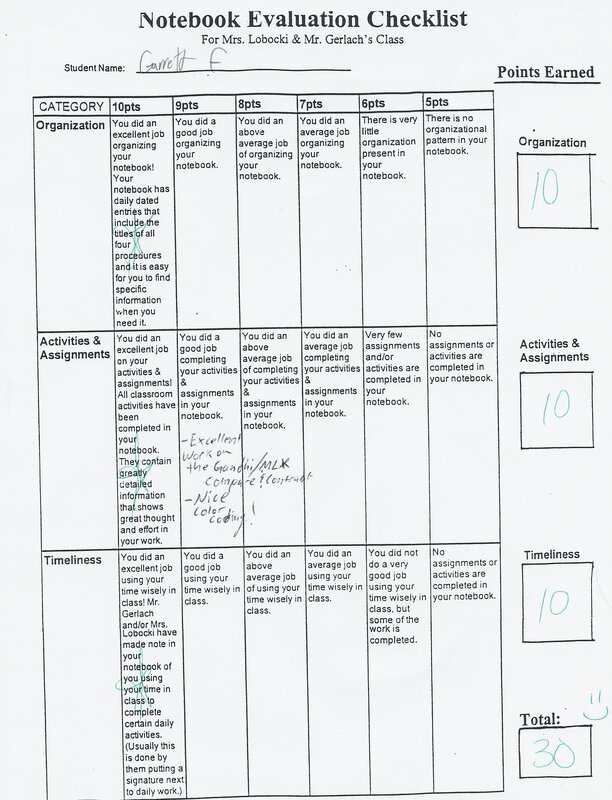 Below are a few examples of completed rubrics as evidence of these qualitative conversations.